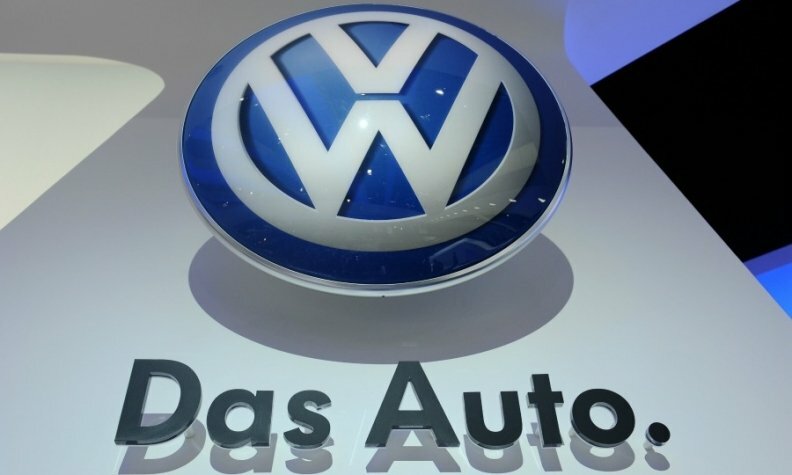 BEIJING -- Volkswagen forecast its sales in China will increase 10 percent or more in 2014, signaling that the company will outsell General Motors Co. in the world's biggest auto market for a second-straight year. VW expects "double-digit" growth in China from last year's record, pushing deliveries in the country to more than 3.5 million vehicles, CEO Martin Winterkorn said on Saturday at at press event ahead of the Beijing auto show. Though he didn't specifically refer to GM, which sold about 110,000 fewer vehicles than VW in China last year, GM said in February it would keep up with a market that's poised to grow 8 percent to 10 percent. Volkswagen is adding production capacity and dealerships to expand sales in China, helped by strong economic growth in interior regions. The automaker plans to almost double production capacity in China to be able to make more than 4 million vehicles in its largest market by 2018. "We will further expand our capacities to be able to respond to the high market growth," Jochem Heizmann, head of VW's China operations, said on Saturday. Heizmann predicted the Chinese car market would grow by as much as 10 percent this year. VW is evolving its operations in the country by leading a "Go West" strategy, as well as a "Go South" strategy. "A large sales potential for passenger cars will develop there fairly quickly," Heizmann said. "That's one factor driving growth besides state-induced urbanization." To foster growth, VW will expand its Chinese distribution network to 2,750 dealers this year and 3,600 by 2018, from 2,400 last year, Heizmann said. VW is "on a very good track" toward deepening cooperation with its Chinese partner First Automotive Works (FAW), Heizmann said. VW has been in talks with FAW to raise its stake in their joint venture to 50 percent from 40 percent. VW said it will introduce a range of low-to zero-emission models to meet rising demand for such cars in the country, starting with the e-Up and e-Golf this year, followed by models such as the Audi A3 E-Tron plug-in hybrid. "We will intensify our customer orientation even further so that we can respond even faster and more flexibly to customers' wishes - particularly here in China," Winterkorn said. VW lagged behind GM in China during the first quarter, according to figures released by the companies this month. GM, which had been the top-selling foreign automaker in the country for eight straight years before losing that spot in 2013, saw first-quarter China deliveries rise 13 percent to 919,114, edging out VW's 880,700 units. GM will debut a redesigned Chevrolet Cruze sedan at the Beijing auto show, which opens to the public next week, picking China for the model's global rollout. GM is spending $11 billion in China through 2016 to boost products and manufacturing capacity. Among other global automakers, Ford Motor Co. is bringing its premium Lincoln cars to China decades behind VW Audi and BMW, testing whether it can emulate the recent turnaround of its namesake brand. Even though the company started producing cars in China in 2003, about two decades behind VW, the popularity of its SUVs and Focus cars helped Ford see a 49 percent surge in China sales last year, overtaking Toyota to become the nation's fifth-largest foreign automaker. This year, it's on pace to overtake Hyundai Motor Co. and Nissan Motor Co. for third place. Competition is intensifying in China and the battle-lines are shifting toward smaller cities as the economy slows and anti-pollution measures spread. That's prompting companies from VW to GM to customize more car features catered to Chinese tastes and speed up the introduction of new models into the country. "We're certainly seeing cities in China place restrictions, there are pressures on the infrastructure, there are pollution issues," Finbarr O'Neill, president of J.D. Power & Associates, said. "But as a whole, the growth throughout China in the tier 3 and 4 cities, in the west, and the aspiring middle class, assures continued growth for the automotive industry."